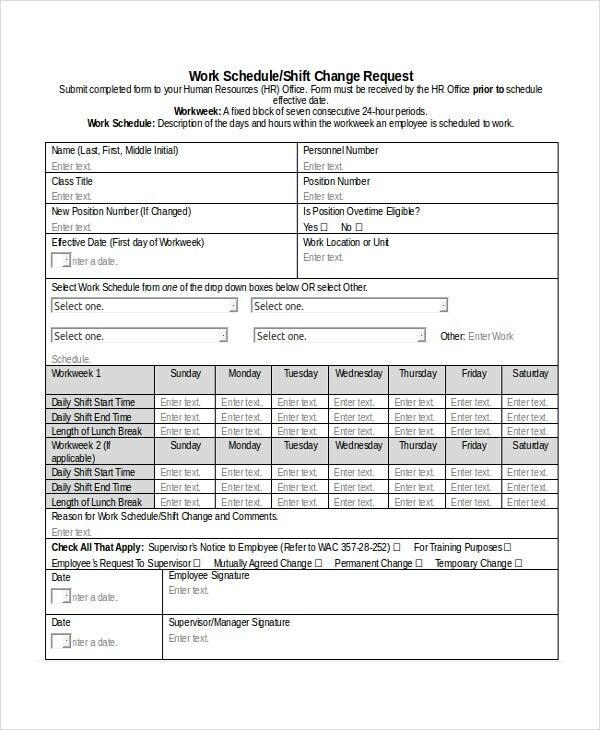 Schedule templates help organizations to derive maximum productivity from the employees by scheduling the activities. They also help to find the efficiency of the workers and their capabilities to perform under pressure. They are also called as plan Schedule Templates as they are used for planning various tasks. They help the management to fix the targets for the employees and deliver goods to the end users. To know more about them, one can search Google using “project schedule template”, “event schedule template” or “class schedule template”. 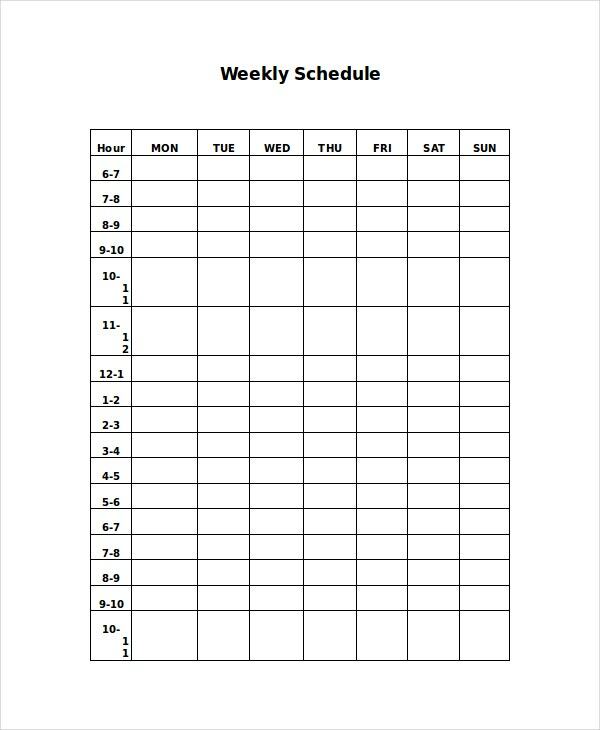 This weekly schedule template presents days of the week from Monday to Sunday horizontally in each column for every hour. It helps in preparing schedule precisely and help to execute activities based on it. 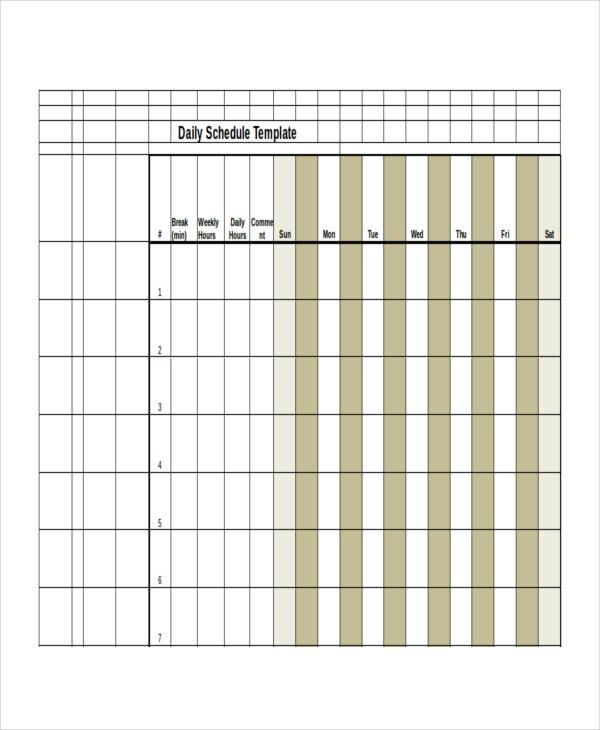 This daily schedule template comes in excel format and presents an hourly schedule for the entire week right from Sunday to Saturday. It enables to schedule various tasks to accomplish them easily. 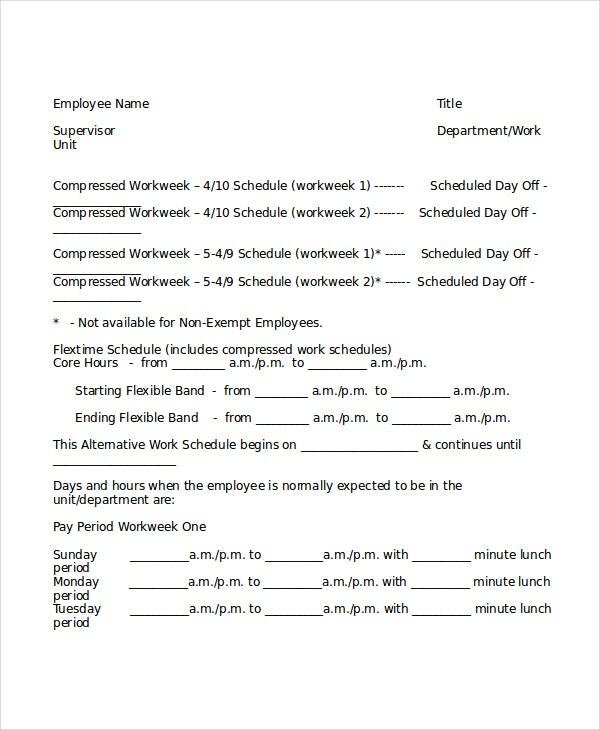 This alternate work schedule template provides employee name, job title, supervisor name, department, compressed workweek details, and alternative work schedule starting and ending date. 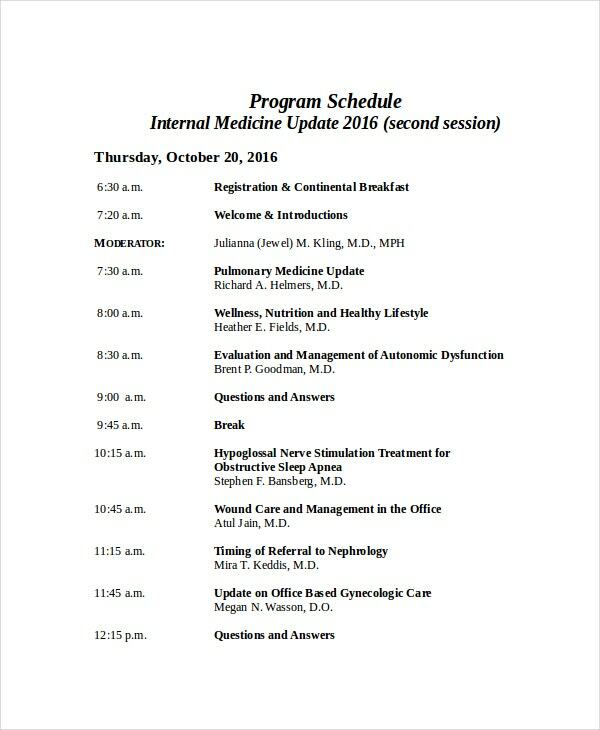 It also provides pay period workweek details. 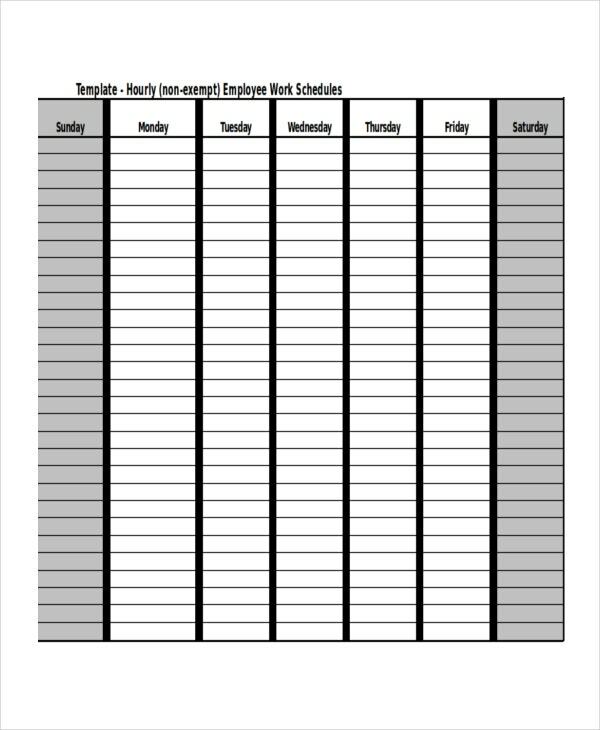 This employee schedule template provides employee name, org unit, and hourly schedules for the entire week. It also provides break period, daily hours and weekly hours for the employee. It comes in excel format. 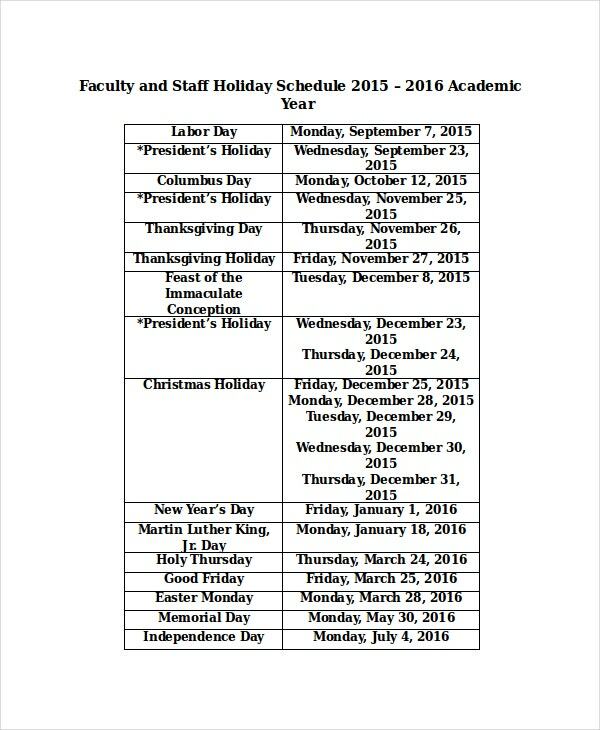 This faculty and staff holiday schedule template provides holiday list for the whole academic year. It presents any holiday description and day as well as date and year. It comes in word format. > What are the Uses of Schedule Templates? Schedule templates enable one to organize various activities in a structured manner and help achieve the target. They are widely used in production industries like good manufacturing factories and software project development. They help to gauge employee’s ability to perform and his capacity. They also reflect his contribution to the organization. They help the managers to communicate the team about schedule changes and enable executing priority tasks on urgent basis. They are easy tools to prepare schedules daily, weekly or monthly based on the type of industry and requirements. 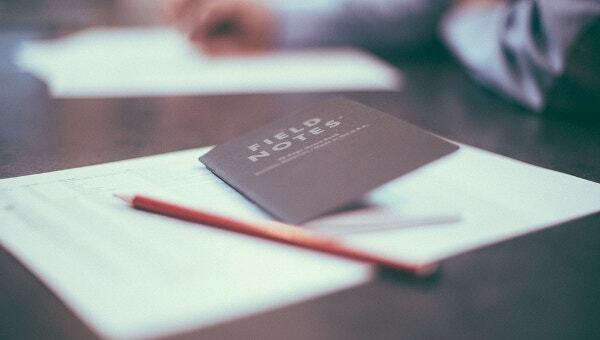 > What are the Varieties of Schedule Templates and their Applications? 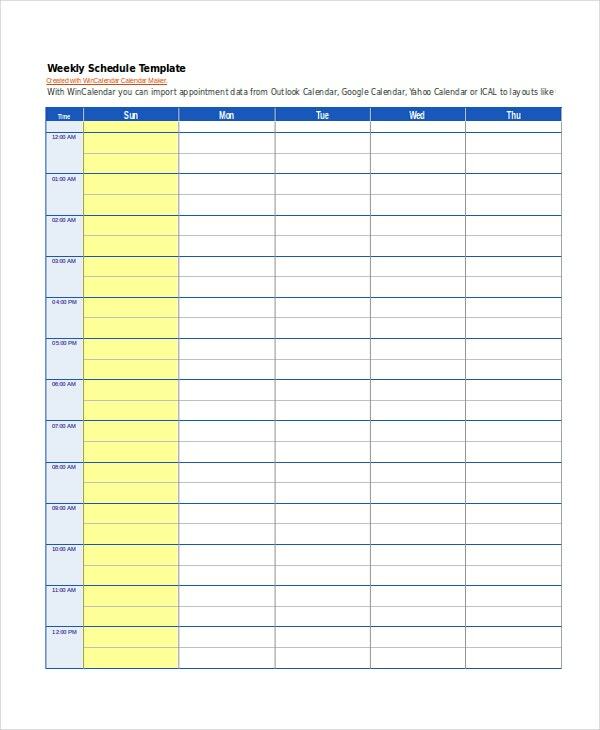 There are many varieties of schedule templates like event schedule, project schedule, employee schedule and class schedule. 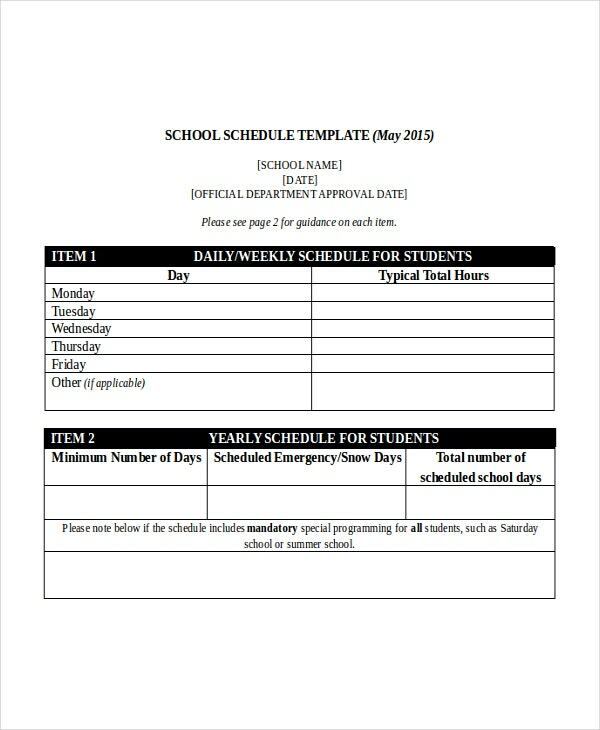 There are also schedule templates which are suitable for scheduling activities for a day, week or month. Project Schedule Templates are widely used by the software project managements to track and manage various tasks of a project. They also help in reaching milestones to deliver the end product on time. Event schedule templates help the event organizers to perform an event successfully and smoothly. In manufacturing industries, various components are required to create an assembled product and without proper scheduling, they cannot be produced. > What are the Advantages of Schedule Templates? 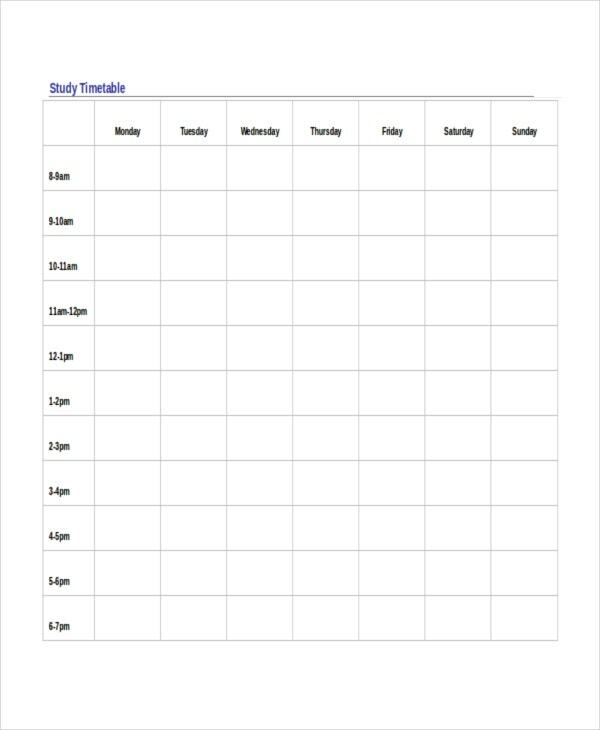 Schedule templates help the employee and resources to execute their tasks in an organized manner, they also help the managers to eliminate stress. They are widely used by varieties of industries to cut down expenses and improve productivity as well as revenue of the organization. These templates which come in customizable formats are easily editable. They help the managers to go through various templates and select one from hundreds of varieties. They help the planning managers to reschedule easily in case of change of priorities. They help the students to plan their study Schedule Templates and sports persons to schedule their daily practicing. Schedule templates, which are also called as calendar Templates, help to plan and perform various activities in a smooth manner. They are highly dependable templates for the management persons to execute their supervision works with ease. One can download various templates which are available in plenty and utilize them according to their requirements.